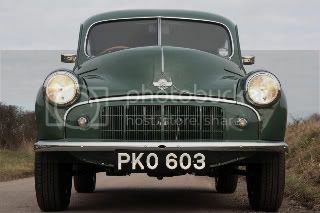 Does anyone know of a NOS or rebuilt oil pump for the later side valve engine, 1952 with the external oil filter. Thanks, Paul Follett. The ex-Centurion Tank ones would be alright, if you can find one. I bought a set of gears for a pump a few years ago. You could also buy the bush and reamer to change the shaft many years ago. Hard to find these days. Morris 8 gears might be available? When I rebuilt my engine (80k ago) I found the gears had worn 'counterbores' in the end plate so I had it surface ground flat again. Thanks, Bryan. Is it a different pump or a different relief valve?